The mammal and bird collections from the Philip L. Wright Zoological Museum, University of Montana joins Arctos! Arctos welcomes the mammal and bird collections from the Philip L. Wright Zoological Museum, University of Montana! Search their data. Arctos welcomes the earth science collection from the Alabama Museum of Natural History! Search their data. Mammal Collection from the University of Washington Burke Museum Joins Arctos! Arctos welcomes the mammal collection from the Burke Museum at the University of Washington! The UWBM Herp Collection is also using Arctos. View location map and Search their data. Arctos recently passed the 3 million record mark, and is now serving data on 3,135,790 records. Are you interested in joining Arctos? Contact us. 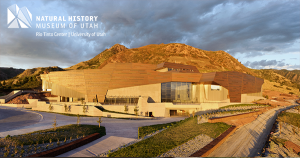 Utah Museum of Natural History joins Arctos! Welcome to the Utah Museum of Natural History! Three UMNH collections (amphibians and reptiles, birds, mammals) have just joined Arctos. View location map and Search their data.